For a 30-year period from around 1970 through 2000, conversion vans were everywhere. 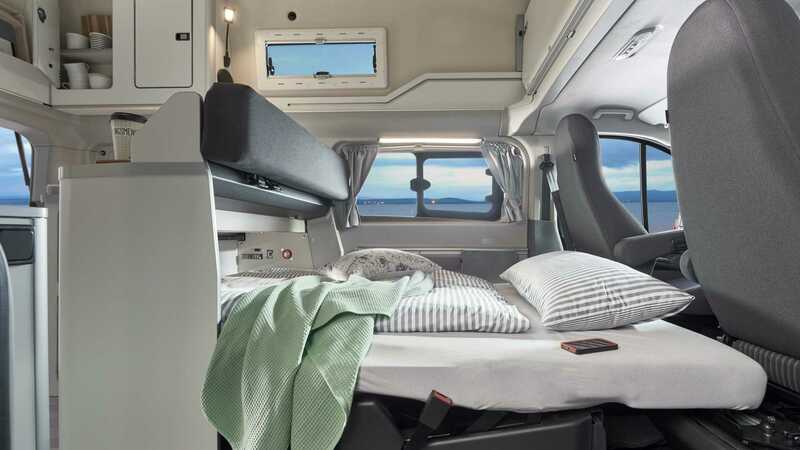 Popularity waned after that, but with the continual development of the Mercedes-Benz Sprinter and Ford Transit, full-size camper vans could be staging a comeback. Case-in-point is the new Transit Custom Nugget – a customizable van that buyers can order directly through Ford dealerships in Europe. 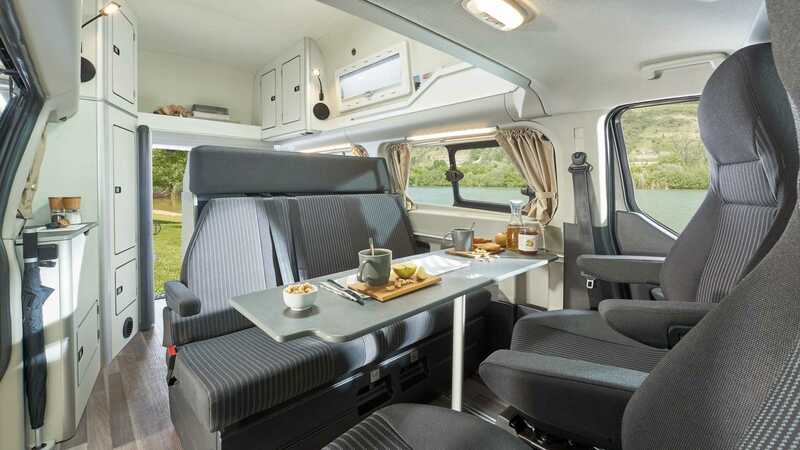 The van starts life as a typical full-size Transit Custom, which Ford then turns into a nifty camper with help from well-known camping outfit Westfalia. The Nugget is available in either a standard or long wheelbase format, with the latter having enough space inside for a built-in toilet. Buyers can also choose between a fixed high roof or a foldable roof, but either choice provides sleeping arrangement for four adults. From there, the Nugget is all about space management. The design allows for a three-room layout, featuring a small L-shaped kitchen at the back with a living/dining area in the middle. A modest bedroom takes up the roof space, with a second double bed ready to fold out in the dining area. The Nugget boasts a two-burner propane stove and a small refrigerator, and a pair of built-in 11-gallon (42-liter) tanks handle fresh and waste water. There's even a shower rigged up at the back of the van. The bones are typical Ford Transit built to European specifications. Power comes from a 2.0-liter EcoBlue diesel tuned to produce either 128 or 168 horsepower (95 or 125 kilowatts), managed by either a manual or automatic transmission with six speeds. Performance definitely isn't a priority for the Nugget. That hasn't stopped people from buying Blue Oval vans, however. Ford says the Transit Custom is the top-selling Euro-market van in its class, and as far as motorhomes are concerned, sales in Europe are up almost 15 percent. That's certainly good news for camping enthusiasts, as it might prompt more automakers to follow Ford's lead with in-house conversion van options. The 2019 Transit Connect Custom Nugget will be on display this weekend at the Brussels Motor Show in Belgium.